Every day is a gift! As a way to celebrate this notion, I created a handmade card with the theme “this day celebrate this life” to share this powerful message. See how to use layered ink to create a soft delicate effect with Tsukineko inkers. Create a beautiful effect on quick and easy cards using layered inks with a single stamp design. This effect is so easy but looks amazing against the yellow inked background, fitting right in with our color of the month–Mango. 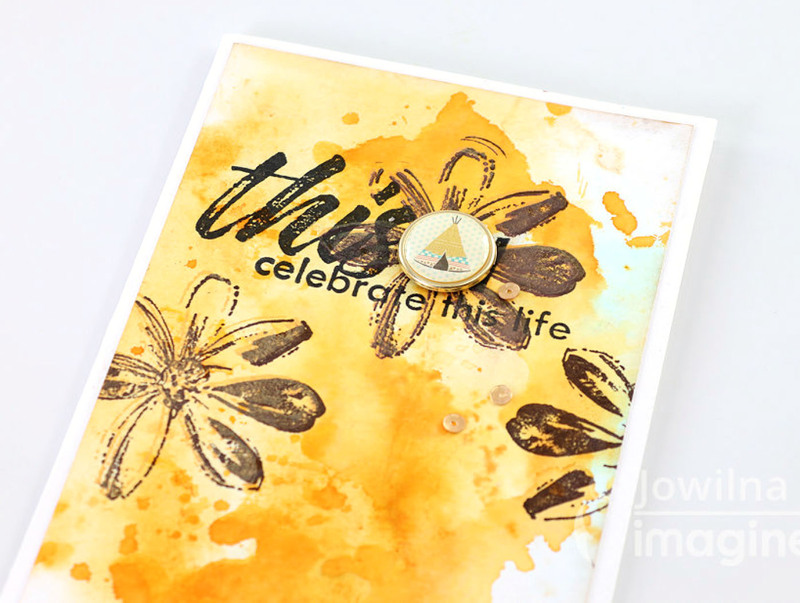 Take a look how I created this easy and effective stamped look. 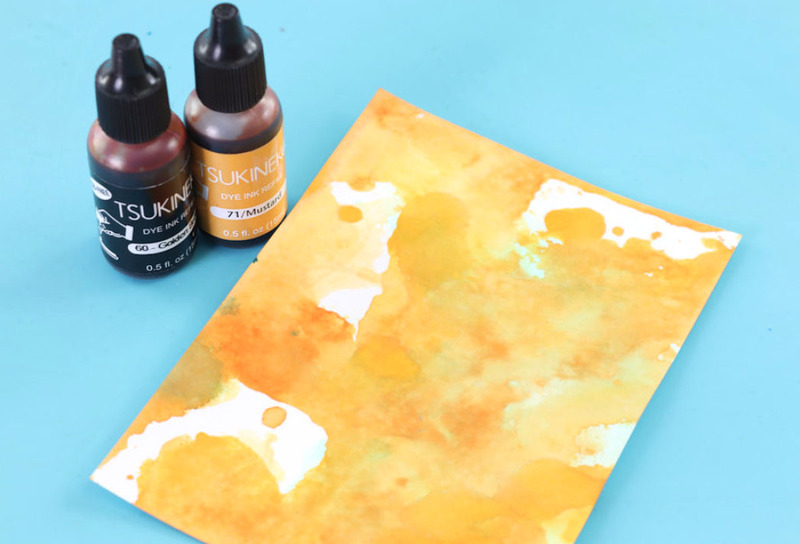 Create a watercolored style background using Tsukineko Dye Inkers in Golden Brown and Mustard. 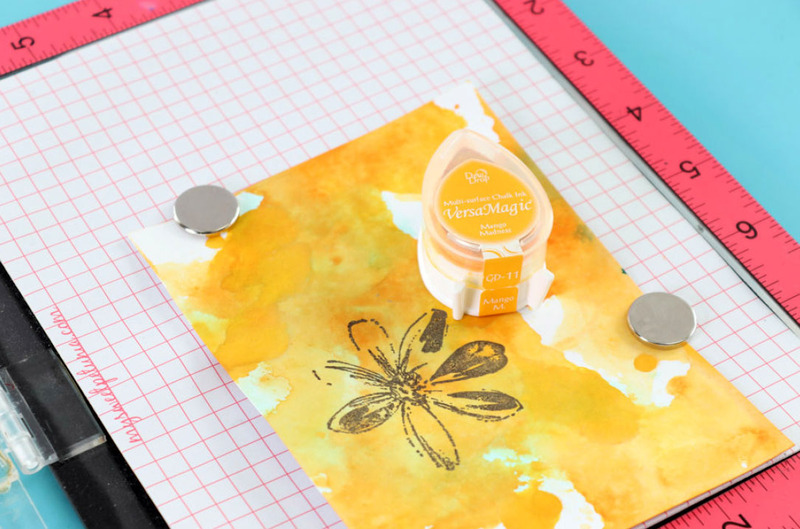 Add a few drops of both of the inkers onto your craft mat, mist or dilute with water and dip a piece of white cardstock into the ink. This ink is very dense and will coat the entire piece of cardstock. Leave to dry. 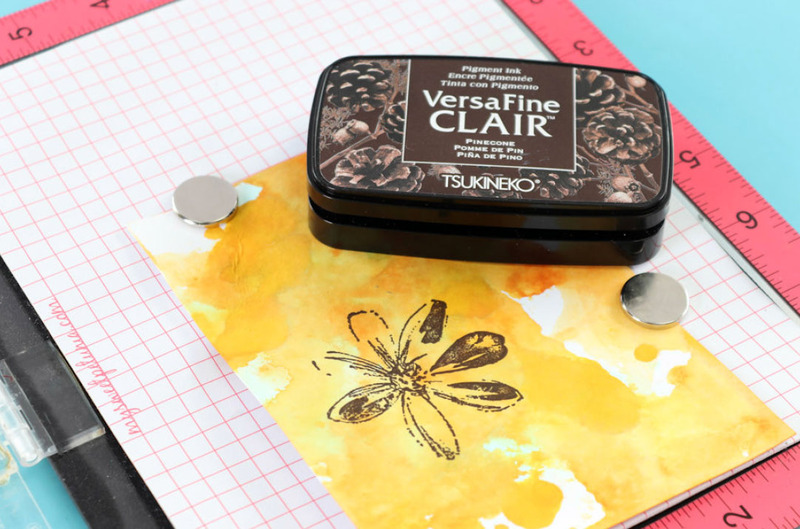 Position the flower stamp and cardstock piece with the Misti Stamping Tool and stamp using VersaFine Clair in Pinecone. Clean the stamp and while keeping it in the same position, ink the image with VersaMagic Mango Madness. Stamp over the same image with the yellow to soften the brown ink color and create an additional layer. 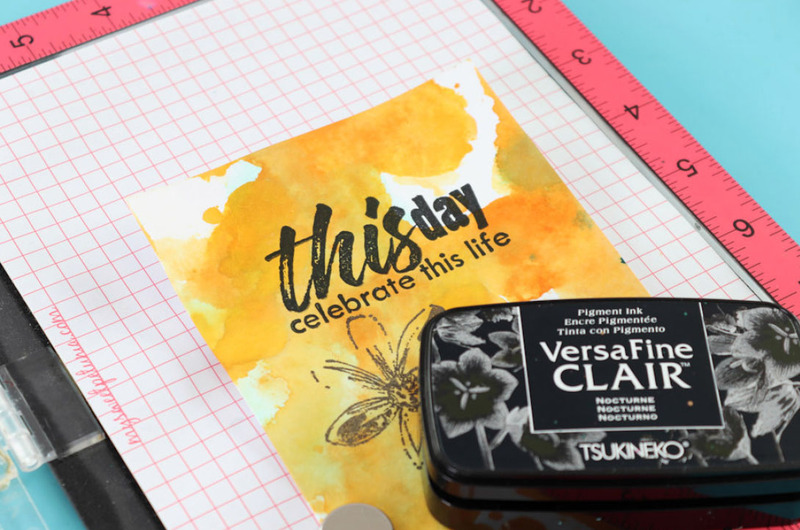 Stamp the sentiment “this day celebrate this life” overlapping the flower images using VersaFine Clair in Nocturne to make it stand out against the brown and yellow tones. Above is another version of this design. You can play with these ideas to create several cards. From here detail the design in your own style with brads, sequins, diamanté, and mount to the card base to finish the card. This entry was posted in 2018 ARTIST IN RESIDENCE, Cards, DIFFICULTY LEVEL, DIY, INSPIRATION, Intermediate, Jowilna Nolte, PROJECTS and tagged cardmaking, Cards, Craft Mat, DIY, DIY Inspiration, Kaleidacolor, Mixed Media, Paper, Paper Crafting, VersaFine Clair, VersaMagic. Bookmark the permalink.